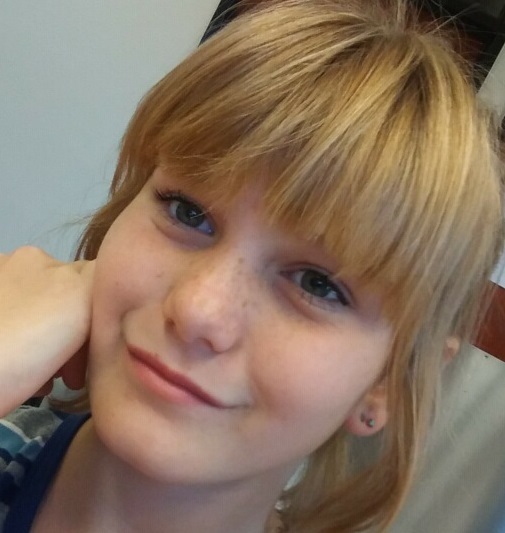 Missing endangered juvenile Hailey Coury was last seen in the area near Pioneer Park at around 1630hrs. She left the area westbound on foot. Hailey suffers from Oppositional Defiance Disorder and is without her medication at this time. She made a direct threat to harm herself to a friend earlier in the day. It is believed that she might be making her way to the Phoenix area to harm herself. Contact Mesa PD with any information regarding this investigation. Last seen wearing tan and brown striped long sleeve shirt, blue or black pants and black knee high boots. Check welfare and contact Mesa PD if contact is made with Hailey.